Things have moved on a little since I wrote my first post about Michael Jackson tickets and the situation regarding refunds for people who had bought tickets for the ‘This is It’ concerts at the O2 arena on eBay and paid with PayPal or credit card. eBay has made several announcements and the concert promoters AEG have released some information too. Every eBay buyer of Michael Jackson tickets, regardless of how they paid, is a due a refund for the full amount paid. In the first instance you should contact the seller you bought the ticket from requesting the refund. It’s worth being polite and patient. 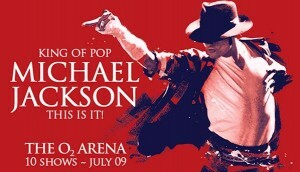 But reputable ticket sellers are reportedly already refunding the full purchase price of Michael Jackson tickets. In some cases, sellers are offering refunds for the face value of the tickets rather than the amount paid if this was greater than face value. As a buyer in this instance you don’t need to compromise, if your seller isn’t offering you a full refund then you should contact eBay or raise a dispute with PayPal. eBay has said that they will be in touch with all buyers and sellers of Michael Jackson tickets so keep an eye out for that email. Repeat: don’t accept a partial refund. But what if you don’t hear anything at all from your seller? Some Michael Jackson ticket sellers will drop off the radar. In this instance, inform eBay and file a dispute with PayPal. My reading of eBay’s Announcement is that eBay will ensure everyone gets a refund. It’s not clear how they will do this, or how long it will take, but their statement is unambiguous: eBay doesn’t believe that any buyer should lose out financially. You may receive an email from your seller saying that they can’t afford to refund you because they have already spent the profits they have made and will only be refunded the face value of the ticket by the promoters. However convincing the sob story, it’s worth remembering that when someone decides to have a punt and profit from selling anything on eBay they take the rough with the smooth. No one who made a tidy gain when they sold the tickets was complaining when they trousered the spoils. I’d be interested to hear from buyers who have bought Michael Jackson tickets on eBay. Have you got your refunds? What’s the situation? Can I help? While I agree with everything you are saying that buyers should not be out any money I just find it ironic that eBay/PayPal does exactly the same thing some of these sellers are pulling. Try getting your PayPal fees back after an unauthorized PayPal chargeback. Trading Standards weighing in, better late than never.